6 First-Round Draft Picks including Jake Burger of the Chicago White Sox. The games are played at Hammons Field, the home of the Springfield Cardinals and the atmosphere can’t be beat. The Missouri State Ticket Office has a great package of tickets for our students. For just $20, the student gets tickets for all 25 home games including non conference games against Mizzou, Arkansas, Kansas, Wichita State and a conference series with Dallas Baptist. What a deal! Every student that purchases this ticket package is entered in a drawing to win one of two Jake Burger autographed hats! 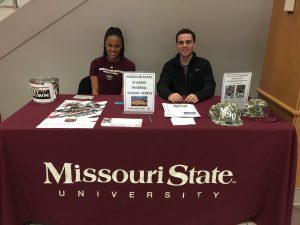 Only Missouri State students are eligible for the drawing.